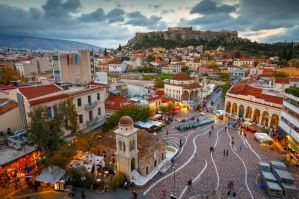 Athens is a city rich in history and culture. It is popular for backpackers and independent travelers because of its excellent atmosphere, delicious cuisine, and diverse entertainment options. Athens also remains a relatively affordable city with many things to see and do. If you're traveling alone, there are a variety of fun hostels in safe locations that will meet your needs. The Students and Travellers Inn dates back to 1977. It was the first hostel in Greece and it remains a popular option for independent travelers today. This hostel's popularity ensures that there will be a large and diverse group of guests at any given time. It's easy for independent travelers to meet and socialize here. The rooms are comfortable and range in size from private rooms to four or eight bed dorms. All of the rooms have both heating and air conditioning. The hostel has a variety of amenities for guests including laundry facilities, computers, wi-fi, travel information, lockers, a book exchange, games, and a wide screen television. The staff is very welcoming and works hard to ensure that everyone is comfortable during their stay. It's easy to meet other travelers and the atmosphere is social and fun. The hostel also has a bar where you can grab a drink and chat with other guests after a busy day exploring the city. The hostel is located on the famous street of Kydathineon, which is lined with craft shops and art stores. There are cafes, churches, museums, and bars very close by. You can reach many of Athens most popular tourist attractions in less than ten minutes and there are a wide variety of excellent restaurants nearby. Athens Backpackers is one of the most popular hostels in the city. It has a lively atmosphere that encourages socializing. There's a rooftop bar that always seems to be active and there always seems to be a diverse group of travelers that are chatting and sharing stories. The hostel also hosts a variety of events at night including karaoke nights, soup nights, happy hours, and daily walking tours. The hostel is conveniently located in the heart of classical Athens. It's in a safe and central location and is conveniently close to public transportation. The dorms are large and open and there are private apartments available as well. Other amenities available through the hostel include wi-fi service, a free breakfast, laundry facilities, and a communal kitchen. The staff is also excellent and will go out of their way to make sure your stay is fun. They are knowledgeable on the city and can recommend anything from restaurants to bars or activities around town. City Circus is a smaller hostel with only 19 rooms. The hostel has a cozy atmosphere and has been decorated with antiques and retro furniture and wall art. The rooms range in size from doubles and twins to dorms that sleep either four or six people. Private bathrooms are available. The hostel has recently opened a restaurant that serves traditional Greek cuisine with fresh local ingredients. The staff is helpful and knowledgeable on the city. They have all types of information and resources available including maps and brochures. The hostel also has a terrace where you can relax and chat with other guests. The hostel's smaller size gives it a personal feel and a homey atmosphere. It's the perfect option for independent travelers who are looking for their "home away from home". The hostel is a five minute walk from the Monisteraki and twenty minutes from the Acropolis. Dioskouros is a great option for independent travelers. It's conveniently located near many of the city's top museums. It's also near the Temple of Olympian Zeus and the Acropolis. The hostel includes a variety of amenities including free breakfast, which can be upgraded for an additional fee, free wi-fi in the common area, and 24 hr reception service. The hostel has a personal feel with clean and simple rooms. There are shared bathrooms and all rooms are air conditioned. 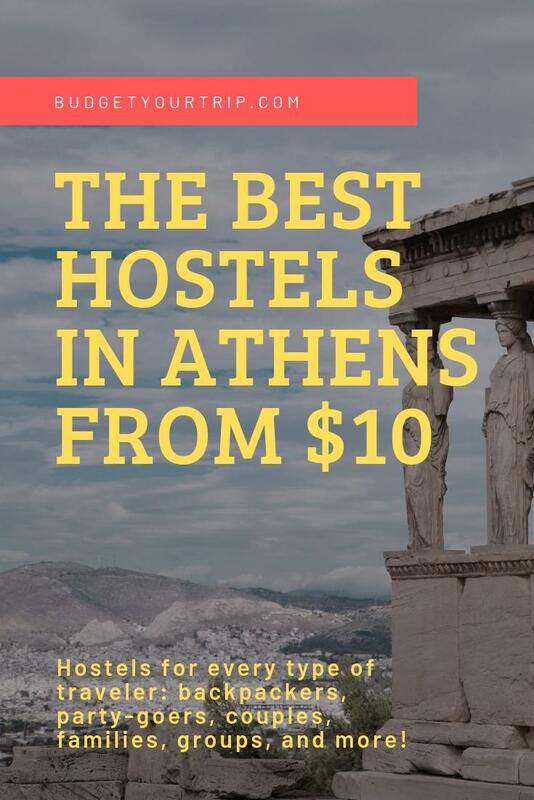 The hostel is surrounded by Athens rich history. It's easy to explore the Acropolis, the Temple of Zeus, Byzantine churches, neoclassical mansions, and many of the city's best museums. It's also just a short walk to many interesting Greek restaurants and bars. A little further away is the shopping district of Ermou. Public transportation is also conveniently close.